Calling ALL Graduate Students. If you foresee that somewhere in your professional career you may be teaching online, this course is for you. If you plan a future in academia, it is likely you will at some point be teaching online, so get started preparing now. This course provides both the theoretical and practical foundation for developing and delivering online courses. Students will create a portfolio with the foundations of an online course in their discipline. In addition, you will complete the class with a firm understanding of what it takes to be a successful teacher in the online environment (and face to face). The focus of the course is on the pedagogy, not the technology. Although technology tools, which serve to overcome pedagogical challenges, will be discussed and students will learn to use a variety of these tools to solve pedagogical issues. The course will be taught entirely online, thereby modeling the course content. 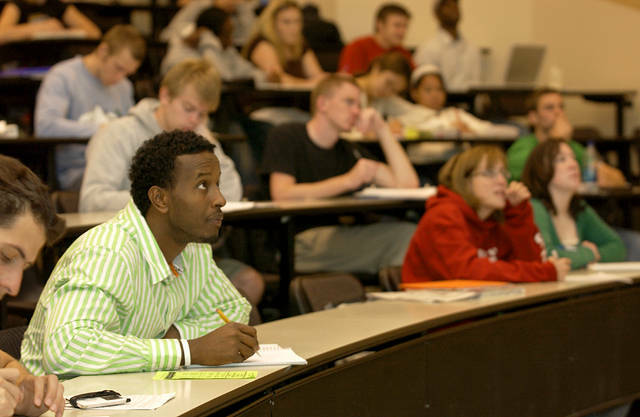 The WSU Teaching Academy is a rich resource for graduate teaching assistants. Graduate students can take advantage of workshops and individualized teaching services from the Academy. With a goal to continually assess and improve instruction at WSU, the Teaching Academy hosts the TA Workshop for graduate assistants each year, and also provides feedback and guidance for TAs. Visit the Teaching Academy website to set up an appointment. or register for upcoming seminars. While a lecture has certain elements in common with formal speech, a classroom lecture places greater emphasis on the importance of presenter-audience (instructor-student) interaction. For help in preparing your classroom syllabus and how to improve your lectures, visit HERE.